So in less than a month I’ll be taking my family back to Manhattan Beach in California. This year I am so looking forward to my trip – even more than last year. Part of the reason is that I was unable to visit the boys back home in blighty in April, so I really need the break. 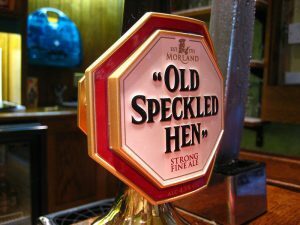 But to be honest I have a real hankering for some sweet pints of Old Speckled Hen at OB’s. This year I’ll know where to go and just get straight down to business. The last 12 months has been pretty rough, and I’m just looking for some quality relaxation with a few choice brews. California Max! What has the Consul started?